Mz. 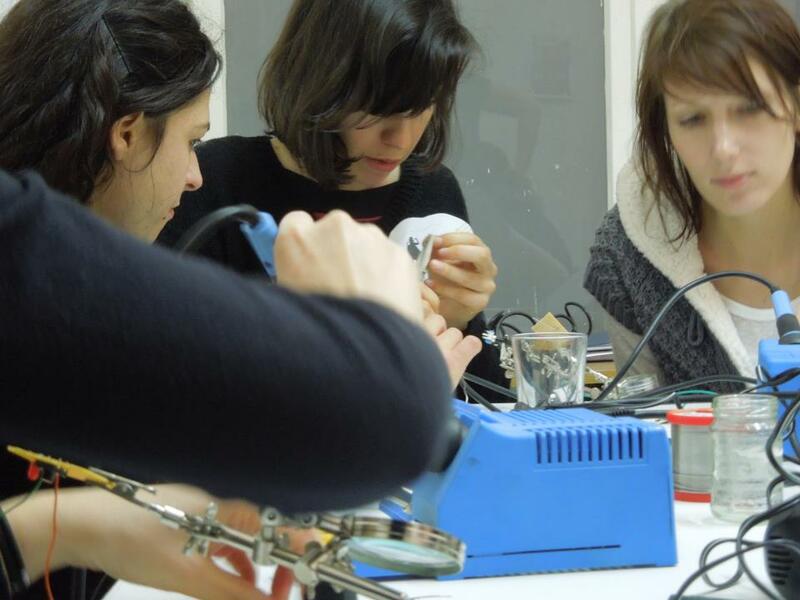 Baltazar’s Laboratory is a feminist hackerspace and an artist collective based in Vienna. They work with open source technology and philosophy, in a women only space, operating a non-­‐ hierachic teaching and informal learning context. The lab offers women space to appropriate electronics and realize interactive art projects. In a three days workshop they will hack hardware, make noise, build angst-­‐robots and program open source software. A lot of “stupid” tech questions will be asked as well as art projects will be developed together. No one is an expert, no one is only student, equipment and knowledge are shared in order to articulate yourselves through high tech in novel ways. Playing with electronic components and building circuits./ Soldering & wiring up. Working with Arduino & understanding code basics./ Playing with sensors./ Building an interactive device/ art piece.